. :: LUDGER BEERBAUM`S` RETIREMENT FROM THE GERMAN TEAM ::. 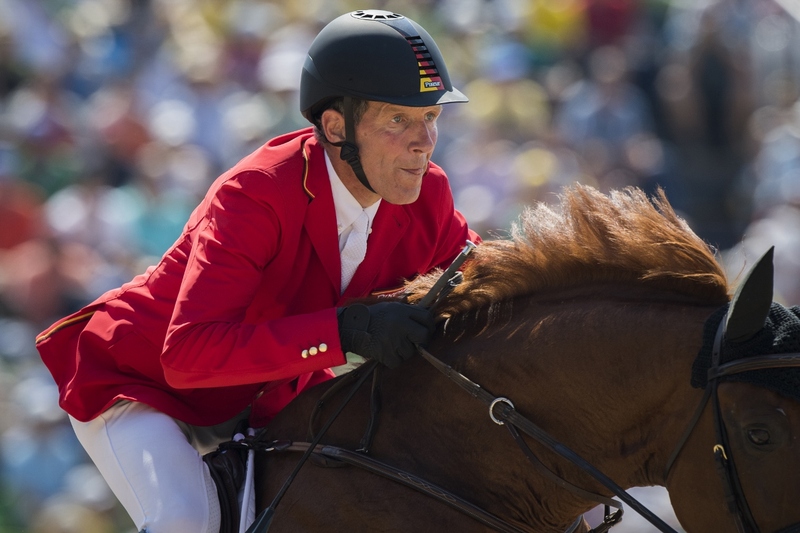 “A legend in his own lifetime, a complete horseman and a man who is deeply involved in the development of the sport.” That was the description of Olympian Ludger Beerbaum given by FEI Jumping Director, John Roche. The 52 year old (that would be turning 53 tomorrow 26th of August) and four-time Olympic gold medalist (1 individual and three team jumping with the German team) Ludger Beerbaum has jumped in his last Olympic games for Germany in the Rio 2016 Olympic games. Where the team took a bronze medal. Ludger Beerbaum has also won various international competitions with a lot of wins. Where he won two gold medals, one silver and one bronze at world championships and six gold, three silver and two bronze at European championships. Ludger Beerbaum always wanted to quit at the top “had always planned to stop with a success”, said a spokesman., and he will make his final appearance in his red Team Germany jacket at the Furusiyya FEI Nations Cup™ Jumping Final in Barcelona next month. “It was a tough decision,” said Ludger, adding that he is not completely quitting the sport. “I do have a lot of projects going. I will focus on my stable at home and training and selling young horses.” His equestrian centre, Riesenback International which opened just last year, will host national tournaments, clinics and international seminars.